It's been a while, but I've made a few cards. I thought it would be good to start a collection to have in hand..
but as soon as I had finished I realised that I had actually been making each of these with someone in mind. So I'll be posting them off and starting my collection again. If you are a card maker which do you prefer? Having some cards ready? Or making "to order"? Great cards. I usually 'make to order' but leave it to the last minute and find I am rushing as I am supposed to be getting ready or actually walking out the door! If it's for posting, forget it - it will be late! I have a box full of cards I have made to use up scraps or bought on impulse, which never seems to go down. I think it stems from the fact that if I am sending a card to someone it is someone who is important - ergo they cannot have just any old thing! Great cards. I like to keep a small stash to hand - usually birthday cards but for very special people make them to order. I like to make several in advance but I always have the person in mind when I make them. Love the cards Sian and I am a 'on a needs basis' kind of girl. Almost always, made to order. Even when I do a challenge or a card for the DT I know who will receive the card. Nonetheless, I do keep a stash of thank you and gift card holders in a box so they're ready in an instant. Love these cards. Can you tell me more about the sentiment on the second one? Are those tiny chipboard letters? Love it! I don't have a collection of cards ready, just a collection of supplies! I'm always last minute on cards. I'm terrible about sending cards - which is why I have a yearly subscription to Blue Mountain! Sad that a paper crafter sends eCards, huh? Love the cards Sian...I don't make too many cards these days, but if I do, it's a last minute thing! I like making cards - trying out techniques, sketches, using up scraps and last bits of packages. My family dip into the box regularly and I try hard to have 'thanks', 'congratulations', 'sympathy/thinking of you' and 'birthday' on hand for those needed in five minute occasions which happen so often to me. 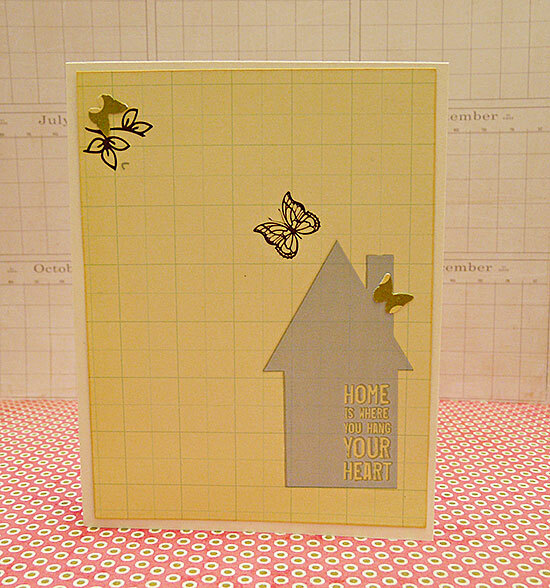 Really like the 'home is where your heart is' simple and gorgeous. These are all great, but I love the third card in particular. I always have a large inventory of pre-made cards (about 50, I'd say). I love making cards. I try to always have "thank you" cards on hand and blank "any day" occasion (like "hi"), but most of the time other cards are made to order... specifically for someone. Terrific cards and your recipients will be thrilled to receive some happy mail! This year I have actually made a supply to have on hand. If I don't make them ahead of time I end up running out and buying one. They are never that nice and are so expensive. When I think of the amount of paper I have in this house, it seems crazy to ever buy a card! I love the greens and pinks in the last card! Great looking cards Sian. I've gotten out of card making as I found some people (namely my sister) thought I was being cheap by making a handmade one. But when I did make them it was done for a specific person(s). I tend to do a bit of both....always nice to have some in hand [as they say].....but for a lot of cards I like to have the person in mind when I make it......so it's a bit more geared to them personally. Love these cards you've made,Sian. Lovely cards that will make happy recipients I'm sure :) I too was wondering what the house with sentiment was but saw your answer above. I have a huge stash of cards only because I make them but I don't send them! Beautiful cards. It's always nice to make a stack of cards when you've got ideas and are feeling crafty but it's even nicer when you have a special card to make for someone in particular. The plan was to have a pile of cards ready to go for any occasion. The truth though, is usually a panic card or a trip to M&S. i'd love to have a box of handmade cards for any occassion at the ready....but that would mean i have to make some and i'm still finding it a struggle. Yours are super - love em! your cards are so much better than hallmarks'! i should have some on hand because i love to send cards but never seem to have any. I usually make about 10 cards at a time that are for generic purposes, very simple photo ones, and then at Christmas I make specific ones - but all the one design and all simple ... of course! Sian your cards are gorgeous!! I think it is always a good idea to have extra cards lying around for those impromptu moments and you don't have time to make one. 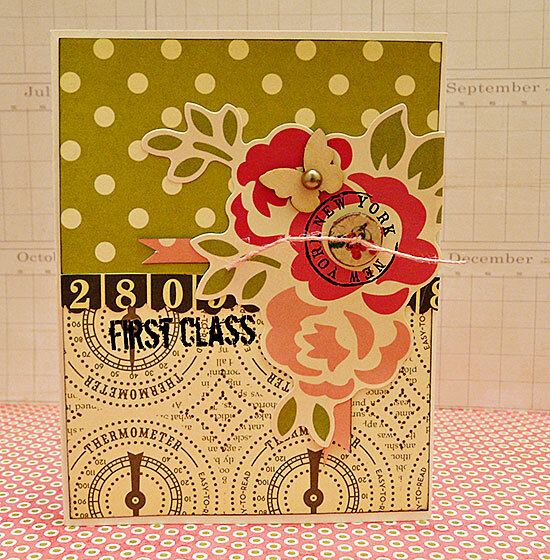 Typically if i am making a card for someone I will make a duplicate, that way i always have extras. Lovely cards! I have some of these same papers on hand. I usually make cards in advance for birthday, thank you, get well, sympathy, general purpose. Sometimes I will custom make one, but generally prefer to not face the pressure of a deadline! 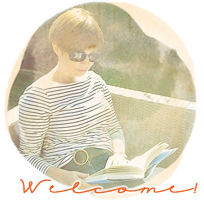 Your cards are lovely, Sian! I never used to enjoy making cards, but I must say that I've become more comfortable with the process. I haven't made it a practice to make cards to have in my stash, but rather I make them as I need them when the occasion calls. Beautiful cards, Sian, especially the third one. I love the colours you used. I usually make mine with the person in mind. If I have time and specially liked a design I may make an extra one just 'in case' but I often use photos and my cards are personal to the person. Thread are lovely Sian. I rarely make cards unless I am in the mood so definitely only to order. No, not Hallmark....better :) I fall into that last minute panicked group of making right before needed or :::gasp::: buying but I am changing. I like for the Chosen One to have cards at work for get wells, condolences and happy birthdays from the group. He pointed out if I am selling my cards it's a little ridiculous for me to be giving him store bought to use...poin taken. The goal is to have him a handmade stash and for me to only send handmade. Had a lovely time catching up with you tonight. I love these cards. I have spells making a batch of cards to sell for work but I like to make to order, I find the 'Aaagh, I need a card urgently' gives me the incentive for more creativity and less faffing!